Federated Department Stores played hot potato with the Lord and Taylor brand earlier today, selling it off almost immediately after acquiring it from May Company. Federated Department Stores reported today that it would sell its Lord and Taylor division for $1.2 billion in cash. The Wall Street Journal had previously reported that the probable buyer was a partnership between Apollo and NRDC Real Estate Advisors. The buyer already owns the Linens ‘n Things chain as well as 14 million square feet of retail space across the country. Lord and Taylor was recently acquired by Federated in a merger with May Company. L&T currently has 49 stores, mostly in upscale malls in larger cities in the eastern half of the country. Now that Federated has divested itself of the Lord and Taylor brand, it can be speculated that they will focus entirely upon their burgeoning Macy’s division. Later this year, Federated plans to finalize the May stores acquisition, which will dissolve eleven regional department store chains (Robinsons-May, The Jones Store Company, Famous-Barr, Marshall Fields, LS Ayres, Filenes, Kaufmann’s, Hecht’s, Foley’s, Strawbridges, Meier and Frank) into the Macy’s name. After this, Macy’s will indeed be a nationwide chain as ubiquitous to malls as Sears and JCPenney. They will have stores from Hawaii to North Dakota to Florida. Because Lord and Taylor is an upscale brand, it is worthy of salvage from conversion to the Macy’s name. Also, converting the L&T stores would be redundant as many share anchor space in malls that will already have a Macy’s after the merger anyway. In addition, L&T is comparable to Bloomingdales, an upscale department store brand that Federated already owns. Many wondered what might ultimately become of the L&T brand. It seems that, for now, it will be saved. As for the other eleven brands acquired by Macy’s in the May merger, you can kiss those goodbye; they’ll become Macy’s within a few months. So, if you haven’t already, you’ll soon get your Way to Shop….whatever that actually means. This isn’t a terribly surprising move. Although L&T and Bloomingdale’s weren’t really a great pair (L&T is a bit more old-fashioned than the more urban Bloomies), Federated simply didn’t have the room for two separate upscale chains. In addition, Federated actually closed several Lord & Taylor stores after the acquisition and didn’t convert many (if any?) to the Bloomingdale’s format. We’ve already lost about half of our Lord & Taylor stores here in New England, and I have to wonder about the continued viability of the brand. At the very least, it’s encouraging that there’ll be another independent player in the traditional department store marketplace since Lord & Taylor will be climbing out from under the Federated banner. I think L&T will be around for the forseeable future, but its long-term viability is in doubt. Apollo and NRDC aren’t merchants, so they’re ill-prepared to recruit the talent necessary to make this tarnished brand shine again. It’s strange to think that, as recently as 6 years ago, May had high hopes for making L&T into its national “luxury” brand, playing the same role that Bloomie’s has for Federated. L&T was as far west as Denver, and was set to move into Las Vegas. The decline of L&T began under May, with numerous store closings before the Federated acquisition. Not only is it a shadow of its former self, it’s a shadow of what it was 3 years ago. The real value of L&T is its real estate. The Federated-May merger demonstrated that mall owners are more than happy to “reclaim” department store space for more productive uses. Expect many an L&T space to be revamped as “lifestyle” wings. Yeah, I’m sure that with all the Macy’s redunancies, many malls will find themselves forced with either non-department anchor stores or with the opportunity to do create new space altogether. ‘Lifestyle’ wings can bring a lot of new tricks to an old dog mall, like a row of destination restaurants, a mini-entertainment district, and other nuances that the sagging, aged mall lacks. It’s already happening, but it’ll be interesting to see how everyone does it. A retailing miracle has occurred, much to the surprise of everyone: Lord & Taylor has made a major comeback! Back when NRDC Equities purchased the chain two years ago, it was assumed that the new owner would shut down the chain and sell off its real estate. Instead, NRDC has made huge investments in Lord & Taylor and has successfully returned it to its upscale roots. It had loomed just out of reach, a tantalizing prize that the U.S. retailer Lord & Taylor could not win: Juicy Couture, one of the hottest women’s clothing brands and a best seller in rival stores. Every year, the chief executive of Lord & Taylor, the oldest American department store chain, pleaded to have Juicy Couture. And every year, its owner, the giant clothing house Liz Claiborne, refused. “It was considered out of their league,” said one person involved in the negotiations. No longer. With little fanfare, Claiborne started selling Juicy Couture jewelry at a handful of Lord & Taylor stores last month, with handbags expected soon, according to people briefed on the deal. The deal is the latest chapter in one of retailing’s most striking turnaround stories. With its cluttered aisles, bland clothing and perpetually deep discounts, Lord & Taylor not long ago appeared destined for the same doom that befell once-venerable names like B. Altman, Sterns and Bonwit Teller. But the 182-year-old department store chain has, improbably, come roaring back to life. Once-dowdy floors are lined with up-to-the- minute fashions. Cheap plastic shopping bags have given way to hefty, luxurious ones. And formerly empty stores are bustling with shoppers, giving the chain its best sales figures in 15 years. Behind the resurgence is a most unlikely turnaround team: Jane Elfers, a tough-talking, well-connected former department store buyer who is fiercely protective of Lord & Taylor’s heritage, and Richard Baker, a baby-faced financier who has virtually no experience running a retail company. When Baker, head of a buyout firm, purchased Lord & Taylor in 2006, many people on Wall Street assumed he would dismember the venerable chain by shutting down stores and selling off valuable real estate. Instead, he has decided to support Elfers, a chief executive who was already in place, backing her with the trust and money needed to turn Lord & Taylor around. Together, the pair are plowing up to $500 million into the chain’s stores, marketing and Web site. And Baker has embarked on a buying binge, starting with Fortunoff, a jewelry and home furnishing chain, that will allow him to fill in gaps in Lord & Taylor’s lineup of merchandise. Lord & Taylor’s unexpected success has turned conventional wisdom about modern retailing in the United States on its head. Since about 2000, it was believed that U.S. department stores had to merge with rivals to survive, wielding size to win over designers and consumers. That encouraged Macy’s to buy its biggest rival, May Department Stores, and Kmart to purchase Sears Roebuck. Yet the 47-store Lord & Taylor chain, one-twentieth the size of Macy’s, is proving that there is still room for a small, regional department store chain. The era of relentless mergers, it seems, has left many Americans rejecting the coast-to-coast sameness of Macy’s in favor of something different. Elfers, 46, who has worked at Lord & Taylor for 19 years, calls the merger trend “over-consolidation.” Consumers, alienated from the combination of behemoths like Macy’s and May, which wiped out Marshall Fields and Hecht’s, are streaming into Lord & Taylor. “People are looking for a store to call their own,” she said. For years, it appeared Lord & Taylor would not have a chance to win over anyone, as it was bought and sold by one owner after another, careening from one near-death experience to the next. The chain, which opened in 1826, started by dressing the white glove set in New York. Soon, it became a fixture of upscale suburban shopping in the American Northeast. But in 1986, it was bought by May, a national conglomerate. To squeeze more money out of the chain, May managers began building Lord & Taylor stores in markets like Florida, Texas and Georgia, where the chain – known for coats, sweaters and boots – had little following. The stores carried less expensive clothing brands. And new managers introduced steep markdowns and bountiful coupons. All of this dragged down the shopping experience and prestige of Lord & Taylor, leaving it indistinguishable from local rivals. “Lord & Taylor had no reason for being,” said Paul Charron, a former chief executive of Liz Claiborne, a major supplier to the chain. Elfers is more blunt. “The store had become a dump,” she said of that period. When she became chief executive in 2000, Elfers decided to try something that rarely succeeds in retailing: taking a tarnished brand back upscale. She insisted on selling off 32 poorly performing stores that accounted for roughly $400 million in annual sales; dumping the Liz Claiborne conglomerate’s mid-priced clothing line, a $100 million business; and recruiting higher-end designers. Her vision? A Lord & Taylor “comfortably above Macy’s, well below Neiman’s and Saks, elbowing in between Nordstrom and Bloomingdale’s,” she said. Customers started trickling back in – and so did designers. Since 2003, Lord & Taylor has recruited more than 200 upscale brands, like Trina Turk, Tracy Reese and Nanette Lepore for women and Lacoste, Hugo Boss and Ted Baker for men. Like consumers, clothing makers were eager for an alternative to the giant department stores. “We are all rooting for Lord & Taylor to make the transition,” said Roger Farah, the president of Polo Ralph Lauren. For the first time in more than a decade, sales at Lord & Taylor stores open at least a year, a crucial yardstick in retailing, rose in 2006, before consumer spending began to decline. Sales per square foot are an estimated $250, higher than Macy’s but still well below Nordstrom. In the midst of the turnaround, May merged with the owner of Macy’s, once again putting the future of Lord & Taylor in doubt. Rumors swirled that its stores would become Macy’s. In the end, the chief executive of Macy’s decided to sell it for $1.2 billion, making Lord & Taylor the only former May chain to survive as an intact brand. It was assumed that the new owner of Lord & Taylor, NRDC Private Equity, would sell off the stores and cash in on the value of locations like the Lord & Taylor store on Fifth Avenue in New York worth an estimated $600 million. Baker, chief executive of NRDC and the son of Robert Baker, a real estate developer, seemed to fit that mold. Retail executives dismissed his purchase of the chain as motivated by short-term profit, with some likening him to Edward Lampert, the hedge fund manager who took over Sears in 2005 and has since run that chain on a shoestring, extracting profits but turning off consumers. But Baker is emerging as the anti-Lampert: a serious figure in retailing committed to spending the time and money necessary to rebuild a brand. He has already spent $60 million on stores, buying new carpet, chairs and fixtures. Another $100 million will be used to modernize Lord & Taylor’s dated Web site, which is attracting a paltry $6 million in sales a year. Baker, 41, concedes that when he bought Lord & Taylor, he attached a high value to its real estate. “But what happened, literally days after signing the purchase agreement,” he said, “is that the business started to perform better than we expected.” Monthly sales began rising 10 percent. Macy’s decision to eliminate century-old local brands, like Marshall Fields in Chicago, pushed shoppers into Lord & Taylor, where they found Elfer’s new, higher-end store. “When people got there, they were surprised, because Jane had transformed the stores,” said Baker, who holds the title of chairman at Lord & Taylor. Despite the tough credit market, Baker is considering buying several retail companies, in addition to Fortunoff, which he purchased last month. 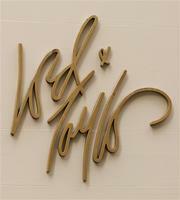 He plans to put Fortunoff jewelry and home goods into every Lord & Taylor store. People familiar with his thinking said Baker is eyeing Kleinfeld, a venerable New York bridal chain, which could make Lord & Taylor a destination for designer wedding dresses. Elfers said that, even as dozens of its competitors went bankrupt or were sold and renamed, Lord & Taylor refused to be killed off. Well today that Hudson’s Bay Company was sold to Lord and Taylor’s owner NRDC Equity Partners. Lord and Taylor might expand into Canada.